I have another review of DRK Nails that I bought from Psyche's Beau! This selection includes some rich colors and a couple of toppers. 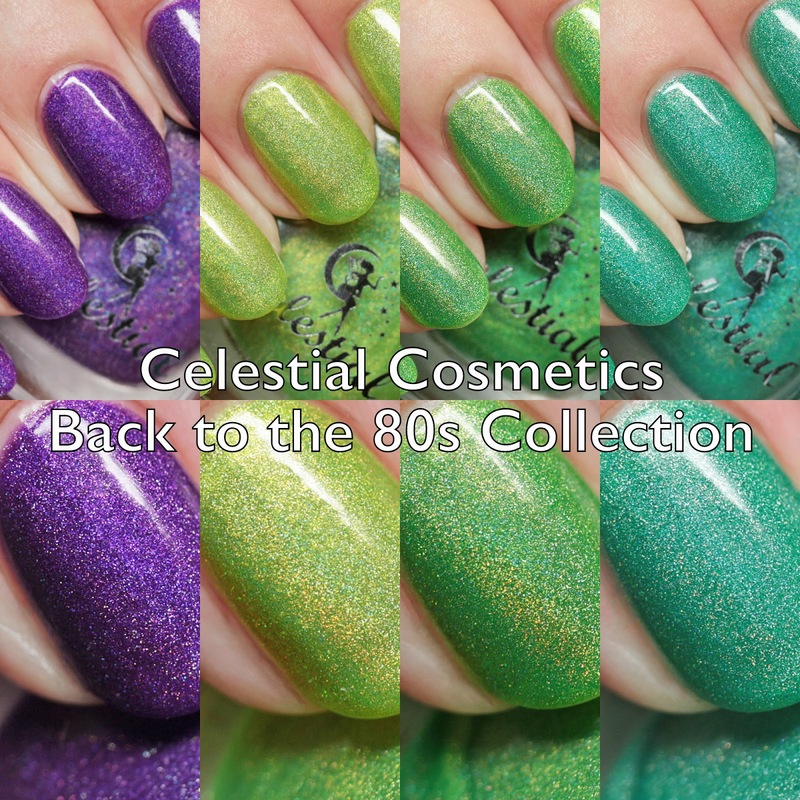 Let's check out these lovely shades! I'm excited to share a brand with you that I have been watching for a long time! DRK Nails is a Brazilian brand that specializes in mega-flashy effect pigments, like ultra holos and multichromes and the polishes more than met my expectations when they arrived! I purchased mine from Psyche's Beau, a new indie e-tailer and was so excited to see the first American indie shop offer them! The shop has a wonderful, easy to use interface, shipping is lightning fast, and beautifully packed. I have a ton to share with you from my first order, so get buckled in. It's almost time for Polish Pickup again! 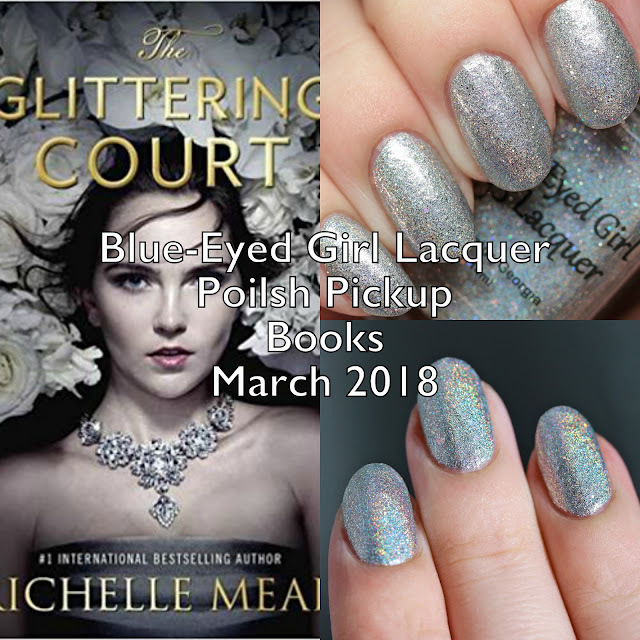 For March 2018 the theme is Books and Blue-Eyed Girl Lacquer did a brilliant, shimmery silver in tribute to The Glittering Court. The shop opens on Friday, March 2 at 11AM EST. Let's have a look! 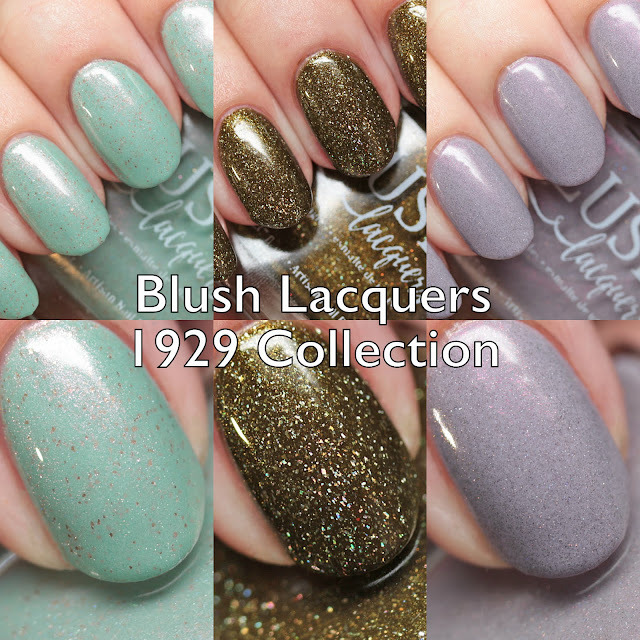 I have three more interesting and beautiful polishes from the Blush Lacquers 1929 Collection to show you today. If you missed it, I reviewed the first half here. 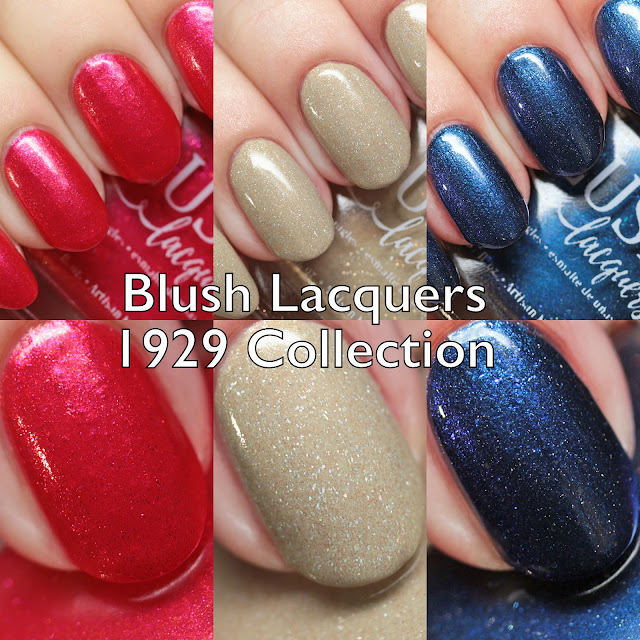 These polishes are inspired by the roaring 20s and I adore the color scheme! 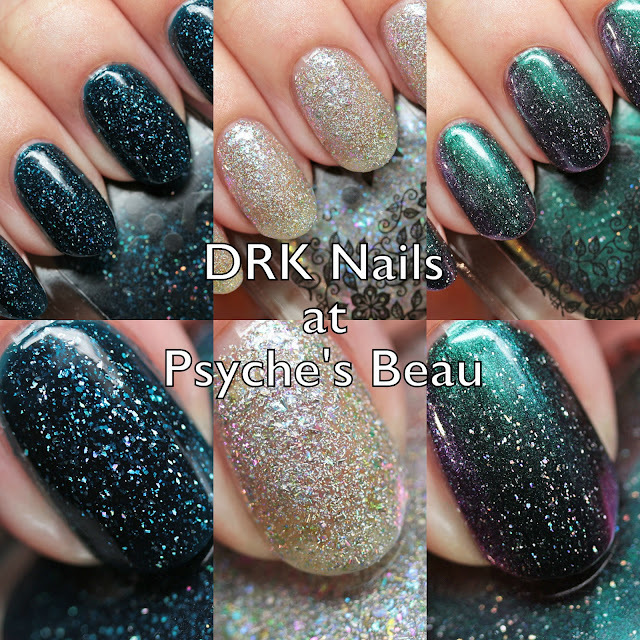 Ready for more opals on your nails? I am! Well, my birthstone is the opal, after all, so what better way to show my love than via opal nail polish. 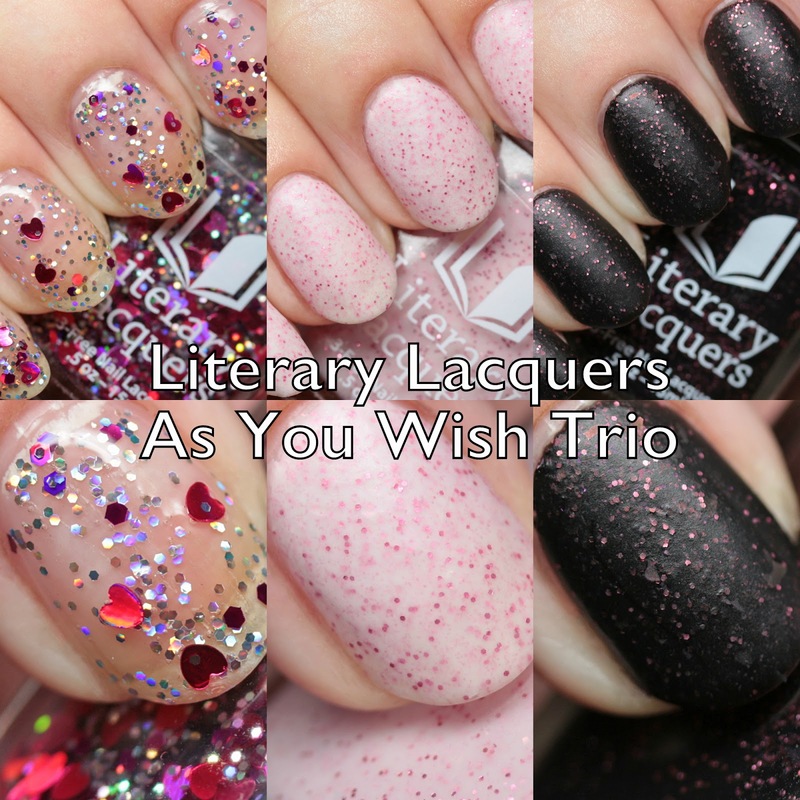 The Ever After Polish O-Pal-eez! Collection launches on Friday February 23 at 9PM EST and includes six iridescent, sparkly flake-filled jelly shades that work on their own or as toppers. If you missed it, the first part of my review is here. I have four more shades from Celestial Cosmetics Back to the 80s Collection to show you today. 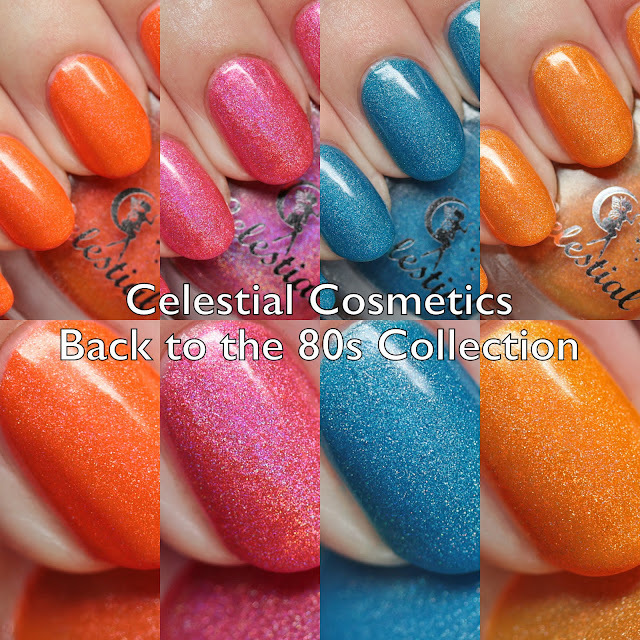 These are super-holo, and definitely the best neon holos I have tried! 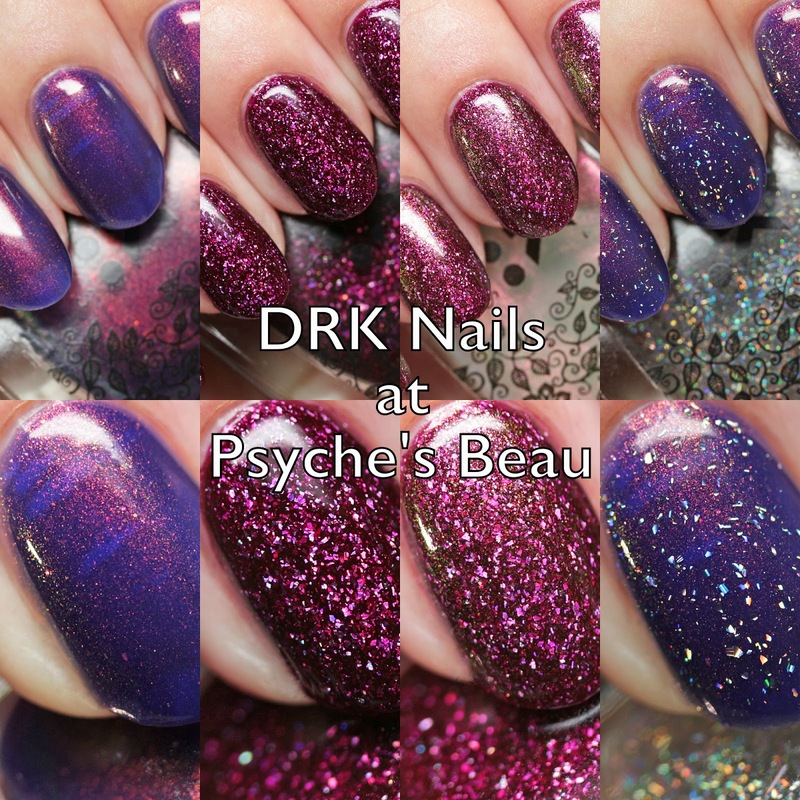 If you missed it, I have the other half of the collection reviewed here. Check them out! It's been a good long while since I've had white teeth and I admit, I had gotten a bit self-conscious about it. I consume at least two liters of tea per day and have done so for the last 25 years with no serious attempts at counteracting the staining and at nearly 40, it has added up. I do use whitening toothpaste, but I simply have not been willing to smile with my teeth showing in up close pictures. I had been kind of casually thinking I should do something about it, but I wasn't interested in going to the dentist and forking out a ton of money for a cosmetic problem. 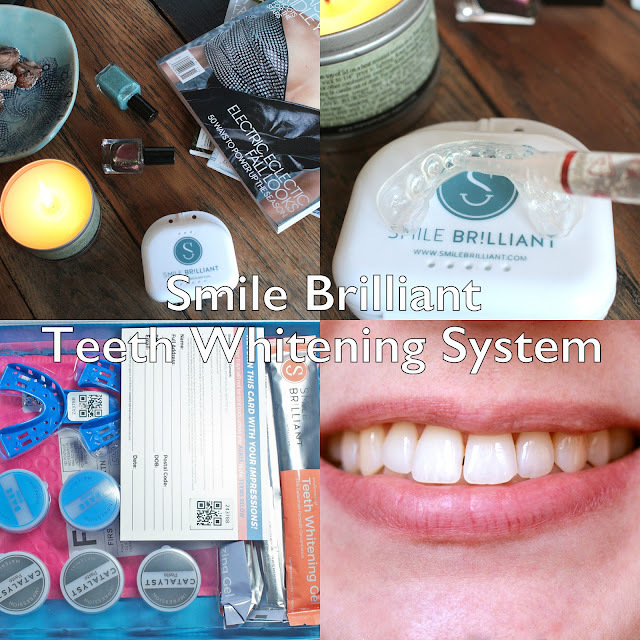 When I had the opportunity to try Smile Brilliant to review for the blog, I was really excited to see what the results might be. The downside is that I have super sensitive teeth and fragile gums so I made a great guinea pig for those of you with the same issues. I tested this system over several months and I really think it can work for those of us with habits that stain our teeth AND extreme sensitivity. Let's have a look! I have three more shades from 3 Oh! 7 Nail Lacquer to share with you today - these were polishes I tested for the maker last year and she has released in her Facebook shop, where there also happens to be a sale for 25% off until Valentines Day! 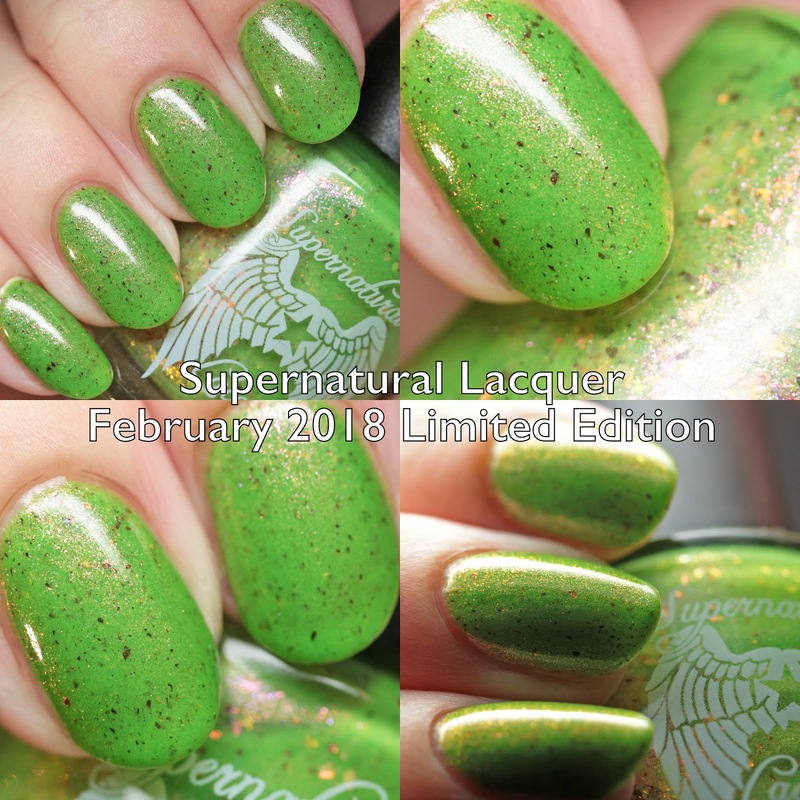 This is Supernatural Lacquer's February 2018 Limited Edition. I ordered this on Friday and it arrived via the WORLD'S FASTEST SHIPPING. It actually came to my house before I ordered it. Stefanie is that fast! Well, in reality, herpty derpty got this with her February Polish Pickup package and forgot, hahaha. I can't promise that yours will appear in the chaos of your living room the second you press the order button like mine did. Anyway you can pick this up until tonight at 9PM EST. Let's check it out! This is it! The final post for the Polish Pickup Sugar Rush theme! The Polish Pickup is an exciting monthly pre-order extravaganza for all kinds of indie polish and complimentary indie beauty and jewelry products. 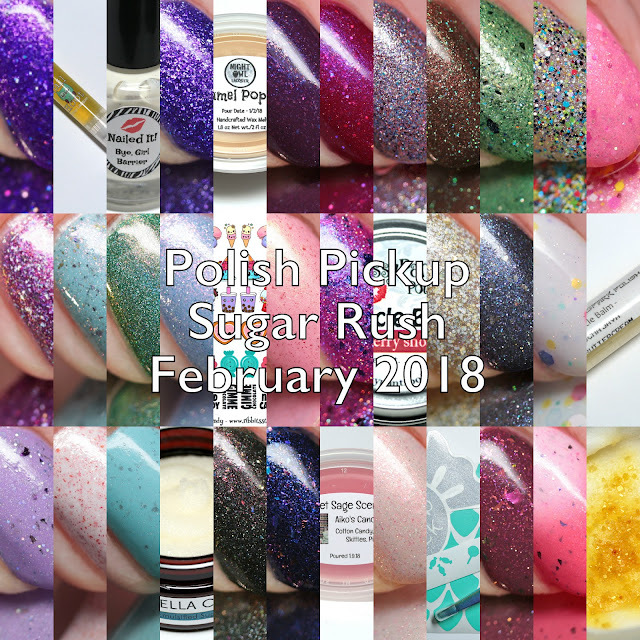 Every month, members of the Facebook group Polish Pickup Pack vote on a theme, and all the makers produce products on that them. Then the products go up for pre-order the next month and you can buy one or all! And the shipping is flat rate $3 for US customers, no matter how much you buy. Amazing! For February the theme is Sugar Rush - inspired by all things sweet and delicious, I ate waaay too much candy while trying out all the products. This month you can pre-order these from February 2 at 11AM EST through 11:59PM EST February 5. This month I have received the majority of the products this month and have been on an adventure photographing them all! I have almost 400 photos to show you and it will be split up over three posts. Today I have brands starting with letters N through Z. Click on the title of the product to a direct link to the item's listing in the store. 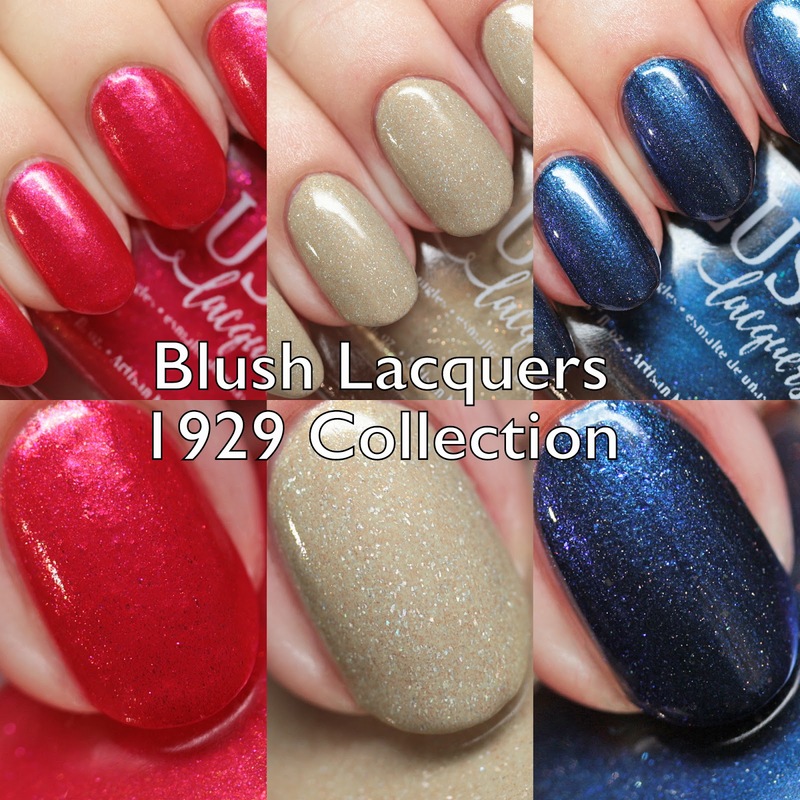 I'm back with more wonderful products from the Polish Pickup! 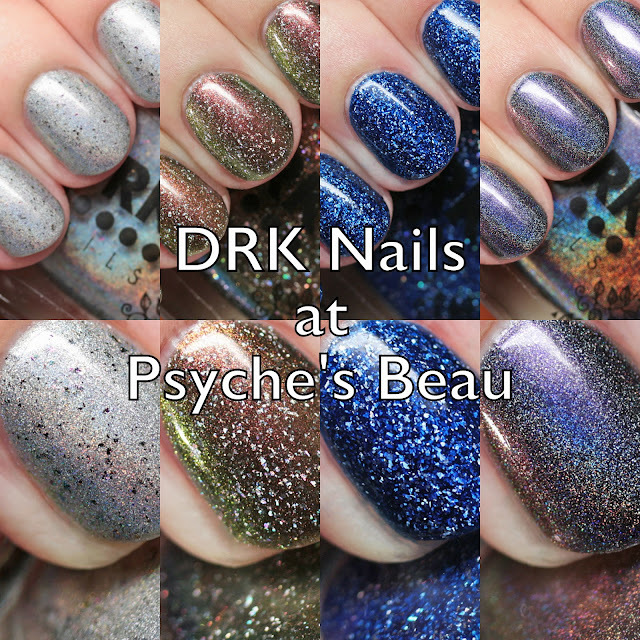 The Polish Pickup is an exciting monthly pre-order extravaganza for all kinds of indie polish and complimentary indie beauty and jewelry products. Every month, members of the Facebook group Polish Pickup Pack vote on a theme, and all the makers produce products on that them. Then the products go up for pre-order the next month and you can buy one or all! And the shipping is flat rate $3 for US customers, no matter how much you buy. Amazing! 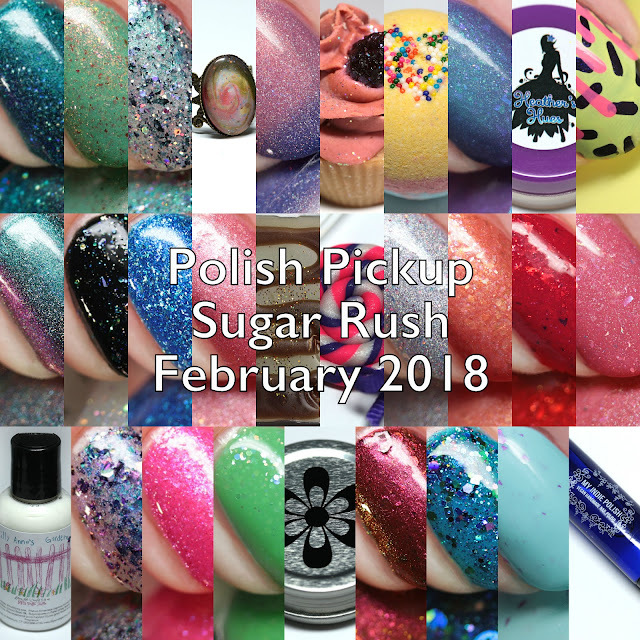 For February the theme is Sugar Rush - inspired by all things sweet and delicious, I ate waaay too much candy while trying out all the products. This month you can pre-order these from February 2 at 11AM EST through 11:59PM EST February 5. This month I have received the majority of the products this month and have been on an adventure photographing them all! I have almost 400 photos to show you and it will be split up over three posts. Today I have brands starting with letters F through M. Click on the title of the product to a direct link to the item's listing in the store.